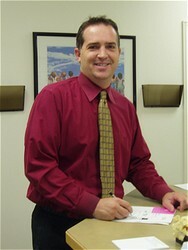 One of the things Dr. Barrus loves to do is help educate any one he can. Now he won't have every answer but he just may be able to help you via e-mail, and he is willing to do this with no cost to you. In fact many patients will e-mail him questions their medical doctors just don't seem to have time to answer or explain, and he helps them understand. E-mail him with your chiropractic/medical questions and he will get back to you as quickly as he can, usually that day or the next. Click on the "Contact Us" part at the top of the web page and this will open up a window that allows you to e-mail your questions directly to Dr. Barrus's personal e-mail.